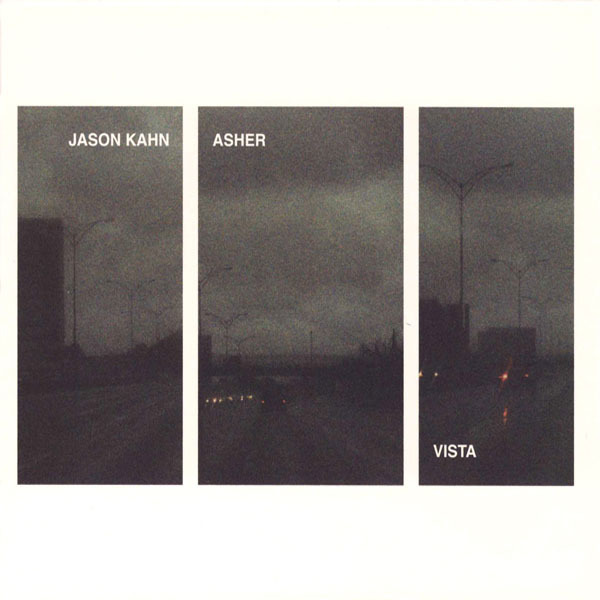 The work on Vista began in the summer of 2006 with recordings made by Asher in the Back Bay neighborhood of Boston. Walking through the alleys and side streets he recorded the various mechanical rooms, generators, ventilation systems and idling motors which were to be found there. These recordings were processed and sent to Kahn. Later that fall, Kahn sent Asher several pre-dawn recordings he had made on the shores of Zürich Lake. Asher processed these in keeping with the methods he had used with his own location recordings so as to create continuity among the amassing material. 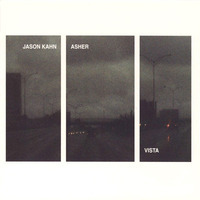 Unprocessed wind recordings made by Kahn in the Swiss Alps in the summer of 2007 comprised the final batch of material used on Vista. Asher and Kahn spent the remainder of that year working on a final mix. Addressing the idea of hearing and seeing out and beyond spatial planes, title Vista references both the aural expanses of Asher's home on a hill in the town of Somerville and Kahn's trips to the Alps and Zürich Lake. In processing and mixing the discrete details of a landscape, we hear them from a real physical distance. Through the incidental combinations of processed local sounds and sound materials which are entirely foreign to us, an imaginative aural view is created which obscures any relationship to a documentary account of the original locations recorded for Vista.